With a growing threat to cyber network security, cyber experts are working to eradicate all operating hackers and reverse the trajectory of this cybersecurity issue. But ironically enough, doesn’t this mean preparing future professionals to become hackers themselves? Yes! That is why Gannon University is welcoming junior and senior high school students across the nation to participate in its inaugural Hackathon series, a hybrid of online to on-site cybersecurity events where students compete for the chance to win a full-tuition scholarship while developing today’s much-needed web-based hacking skills. The event is composed of two parts: a virtual competition to be held on Saturday, April 6 at 1-3 p.m. and Saturday, April 13 at 1-3 p.m.; and an on-site training for eligible students on Saturday, May 4, 2019. Students must be in high school to register and may participate in one of the two events. The cost to participate in Gannon’s Hackathon is free. The online portion will serve as a gateway for students to be invited to the on-campus Hackathon for the chance to win either a full- tuition scholarship or other scholarship dollars to Gannon University. Students must be included in the top 100 finishers of the online Hackathon events to be invited to the on-campus event. The winner of the on-site Hackathon will be awarded a full-tuition scholarship during a concluding ceremony. Gannon faculty and students capitalized on existing University resources and expertise to build the software that has enabled Hackathon, said Vice President of Academic Affairs, Walter Iwanenko, Ph.D. Participating students will use this software to build a website and then move through a series of challenges, including gaining access to administrative passwords, ordering items without proper payment, manipulating stock and payroll information. 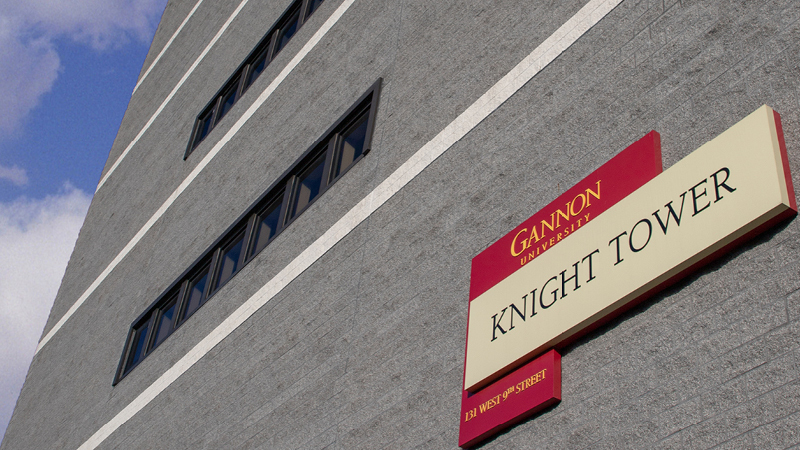 This innovative event is designed to boost cybersecurity education and awareness within communities while allowing students to engage with Gannon’s two newly launched programs, cybersecurity and cyber engineering. With an expected $6 trillion in annual expenses by the year 2021 as the result of cybercrime damage, equipping students to effectively counter attacks on the security of the cyber network is essential. “Providing the experience to high school students on how these systems are designed and built exposes students to the cyber industry. The projected job market is expected to grow, resulting in more than 3.5 million unified high-paying jobs over the next five years,” he added. Gannon University is looking for students interested in developing ethical hacking skills while competing for the chance to win a full- tuition scholarship. Do you have what it takes?